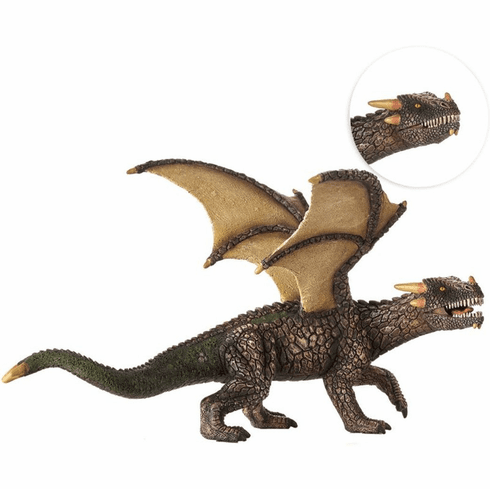 Mojo - Fantasy - Earth Dragon with Articulated Jaw. Mojo Fun - Highly detailed and hand painted Animals, Birds, Sea Life and Dinosaurs. The word Mojo literally means "inner magic". Mojo's aim is to awaken that inner magic in everyone, to reveal the child that lies within us all. Figure measures 8.3" long by 4.8" tall. Part of the Fantasy Series by Mojo.